How long have you lived in WNC? My family and I moved here from California nearly 20 years ago. We loved California, but wanted to be closer to our families in the east. We had always heard about Asheville being the “Berkeley in the East” and quickly fell in love with it and the surrounding WNC area, deciding to make this our permanent home. I’ve been an Elementary School teacher most of my life, but always needed a creative outlet. 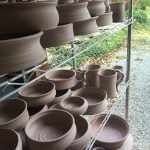 Over the years I have taken evening classes in pottery and sculpture when time would allow me while raising my kids. 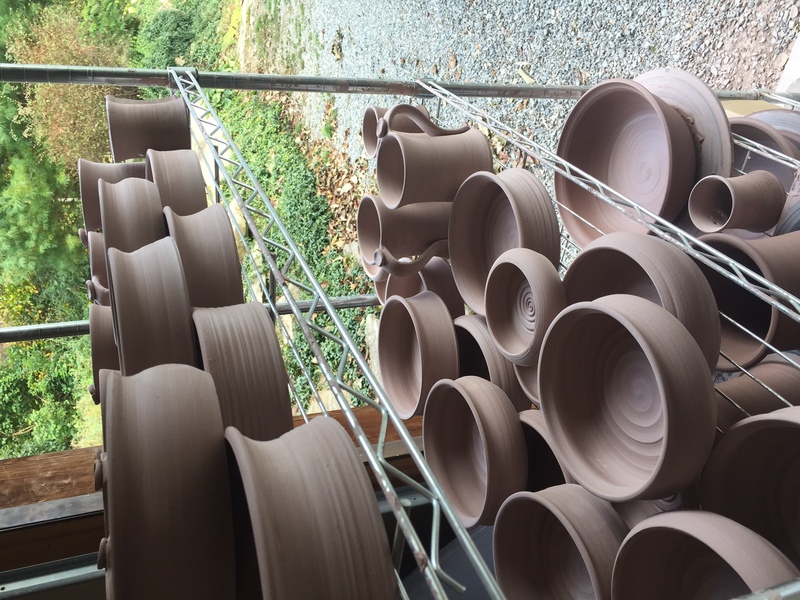 As my kids got older and more independent, I began to take it a little more seriously and bought a wheel and kiln of my own. It wasn’t long before my three children approached college age, and I found myself looking for ways to bring in extra income to cover costs. Pottery seemed to be the logical choice, as has proven to be a good decision! Since then my husband, Randy, has also started to get involved. He tests and mixes the glazes and does more of the creative hand built pieces, including the ” Tree of Life” designs and the Salamander and Frog mugs that we offer. What is something about your business that most people don’t know? 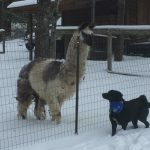 We have two llamas, Eclipse and Moonshadow. As a kid, I always wanted to live on a farm, but as an adult realized how much work a real farm is. I decided to make it simple, get creatures that were somehow different, and very easy to care for. 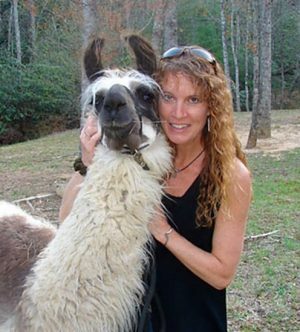 Llamas were my answer. They really don’t serve any purpose other than fertilizing my garden and making me smile when they come running up to me when I go out to see them. Occasional walks off the property are also fun. Yes, they do spit, but only at each other, never at me, thankfully. When you are not working, what are your favorite things to do in WNC? Other than being in my studio, I love to be outdoors. I try to run or hike everyday, usually with my dog, Sonoma. When the kids are home we try to find new trails to explore in WNC. Spending time with family and friends, music festivals and camping are some of my other favorite ways to relax and take a break. Thankfully WNC has much to offer in these areas! Come on down to the shop to see all of Cathey’s pieces! 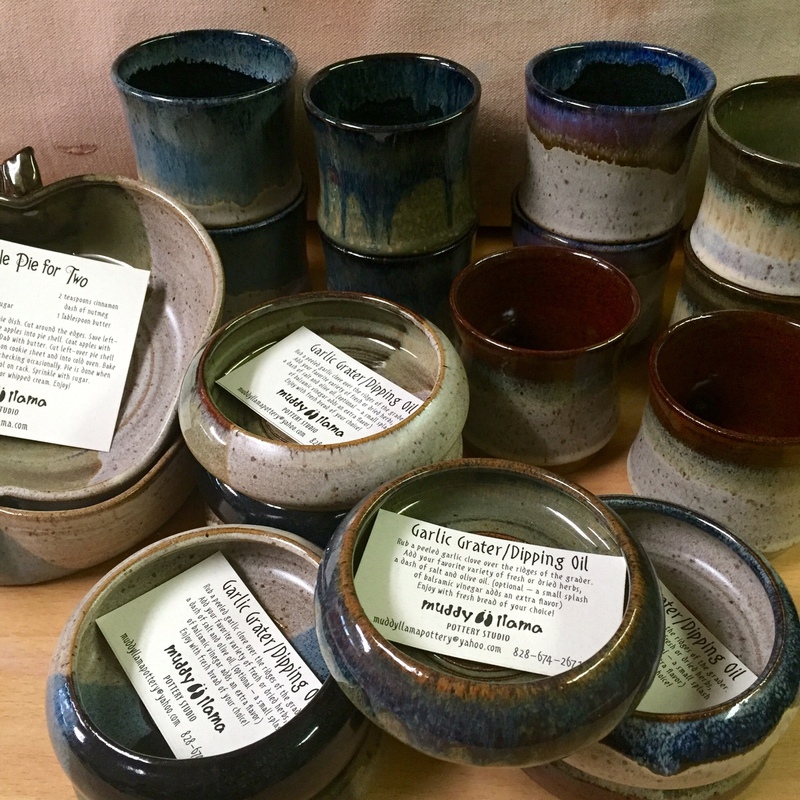 We have a variety of her glaze colors and offer some unique bakeware, mugs, and more. All of Cathey’s pottery can go in the dishwasher and microwave, making it easier on you to use and enjoy her work. Here at MTN Merch, we are more than just a t-shirt shop. 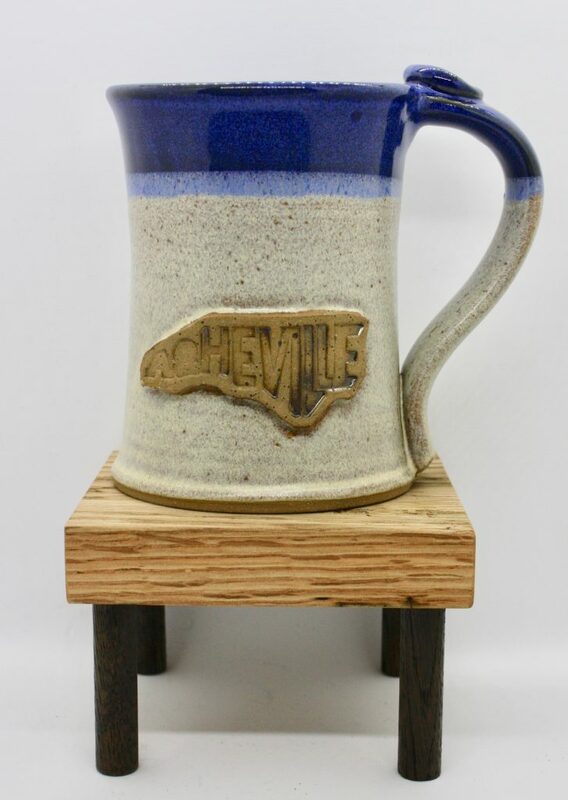 We pride ourselves on finding quality and unique handmade products from makers right here in Western North Carolina. These locally made items make wonderful gifts for out-of-towners, but you’d be surprised at the number of locals who have become repeat customers. The “Local Maker Spotlight” will be a recurring blog where we feature a different local maker/company and their products we sell in the shop. Duana has been living in WNC for about 9 years with her family. The move to the area came about when her husband, who works in the hospitality industry, received a job opportunity in Asheville. 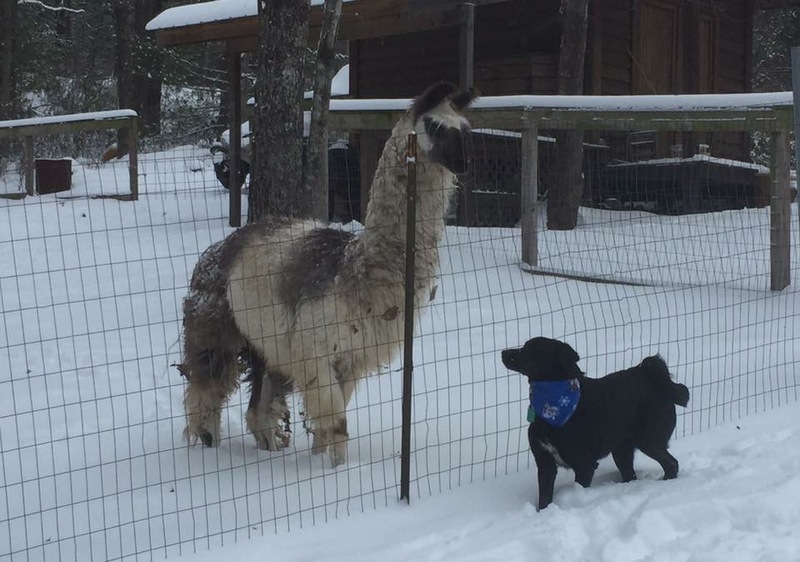 They looked at other areas to move, but she and her family fell in love with the Western North Carolina area. 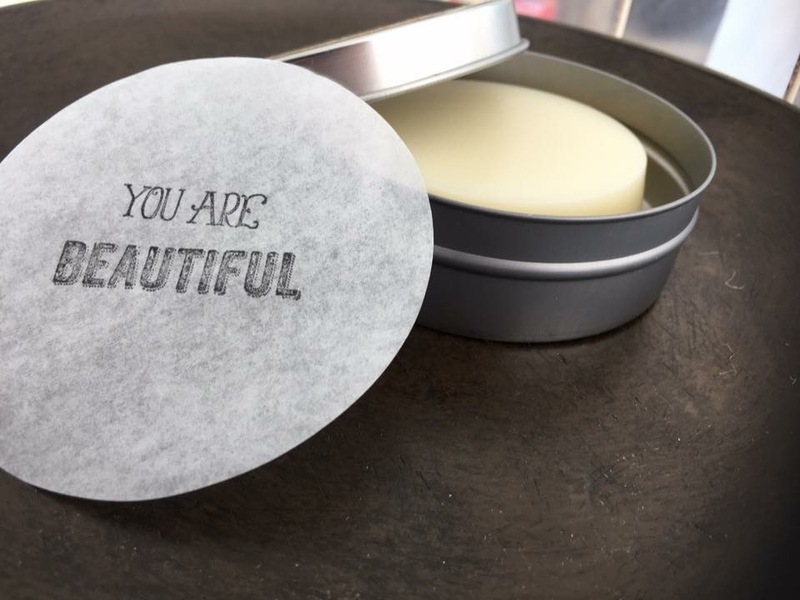 Why start a skin care business in the Asheville Area? 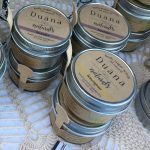 Duana’s company, Duana Naturals, (also known as The Fancy Farmhouse) was started after she was diagnosed with skin cancer. 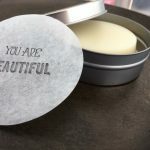 Her creative and resourceful abilities led her on an exploration to find natural alternatives for skin care. Even before having skin cancer, Duana consistenly suffered from dry and sensitive skin, where perfumes and additives only escalated her skin issues. 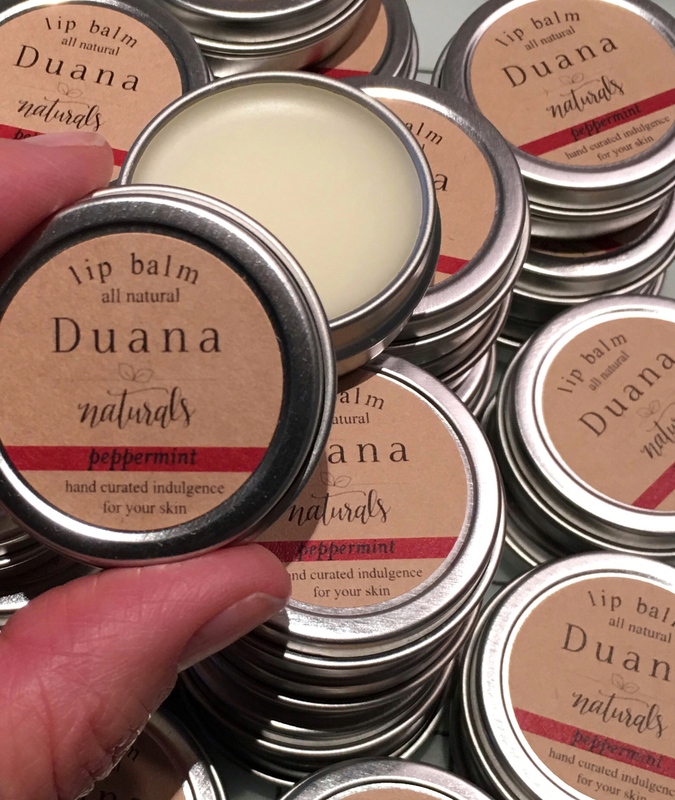 After much research, Duana began making her own all natural and organic products. 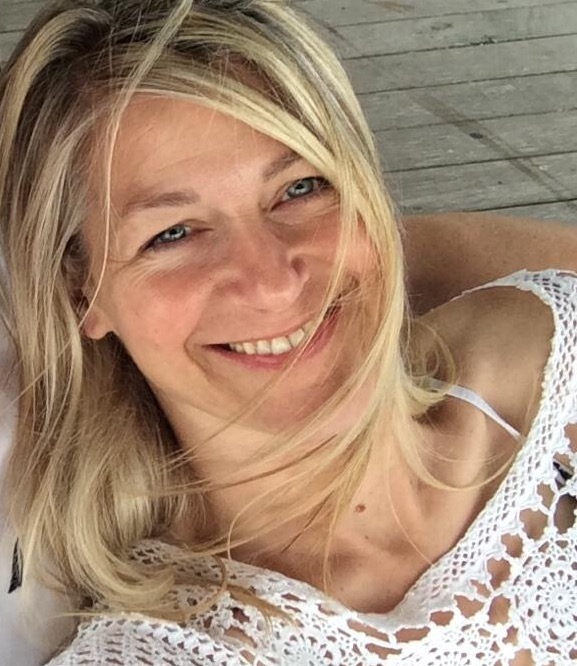 After using her products and noting the improvement to her own skin, she decided to share with friends and family. 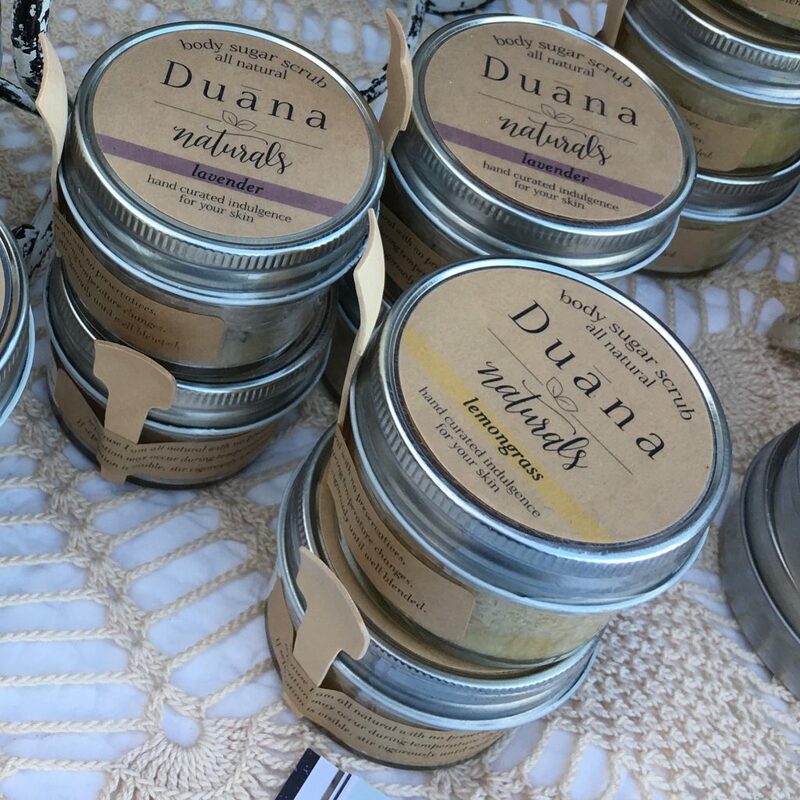 Due to the entrepreneurial spirit of WNC and its lean toward organic, small batch, handmade products, Duana felt that this area could support her products as a business and she was right! Duana does each production step herself (unless her very talented, chemist daughter is around to help out). She selects her ingredients, combines, pours, and packages everything on her own to insure the pureness and pride she has for her products. 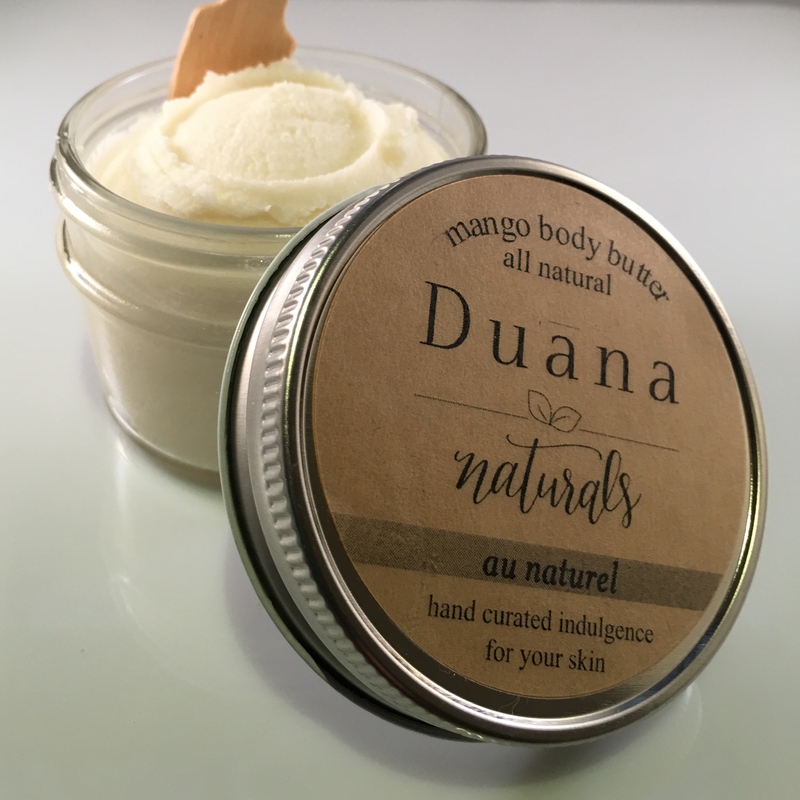 This ultimate attention to detail shows customers Duana’s passion for her products and for improving the health of your skin. What do you enjoy most about this area? 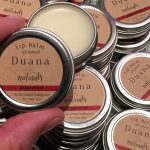 When Duana is not mixing up a new batch of body butters or lip balms, you can find her in the woods somewhere on a hike or a run, taking in the beauty of her surroundings. She also loves to take advantage of the local food and brewery scene. This area has yet to bore her and what continues to motivate her and move her business forward. 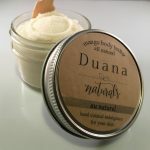 Stop into the shop to see all of our Duana Natural’s offerings. You can even try them out before purchasing!